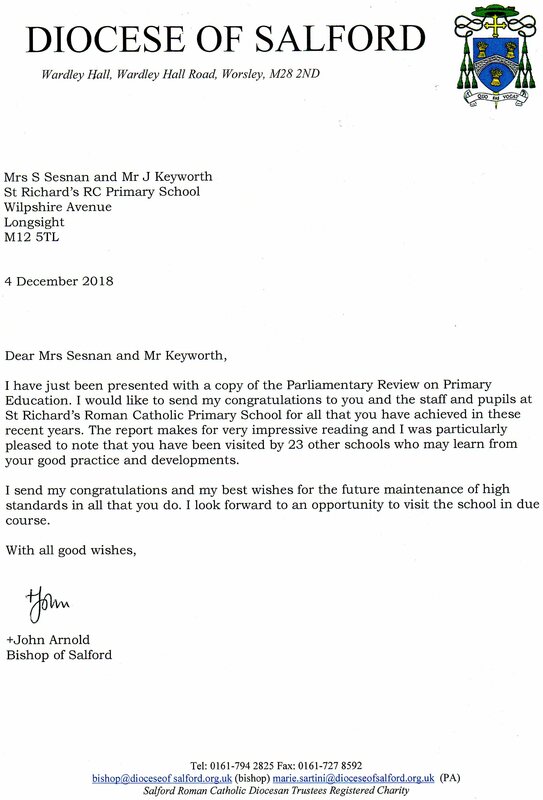 In September 2018 St Richard’s received some very exciting news, we have been included in this year’s Parliamentary Review for Primary Schools. We have been chosen for our outstanding practice in many areas. The school’s profile is part of a reporting document that every school in the North West of England will received. There is a forward by the Prime Minister, Theresa May and the Secretary of State for Education, Damian Hinds. You can see the whole report online at www.theparliamentaryreview.co.uk under the section Primary Schools (Greater Manchester). We are very proud of this achievement. We are passionate about READING AT ST RICHARD’S! We were one of the twelve schools selected by OFSTED to take part in the Reading by Six Survey – How the best schools do it. Every syllable that is spelled out…..
We have had so many special visitors this year who obviously agree with us! They were equally impressed with our MATHS, especially with our 2015 SATs results of Level 4+ 98%, Level 5+ 74% and Level 6 20%. We have averaged 73% Level 5 over the past 4 years! Our Maths results in 2016 at KS2 were 91% pupils meeting expectations, with a high percentage of pupils exceeding expectations. The SSAT is an organisation that collates and analyses data from the DfE and OFSTED to publish the annual Educational Outcomes database. We were notified by them recently to inform us that our school has enabled children to achieve attainment in reading, writing and maths that is significantly higher than the national average at Key Stage 2, and includes higher than average added value. This achievement puts us in the top 10% of schools nationally and makes us eligible for an award, the 2014 Educational Outcomes Award for Exceptional Attainment. 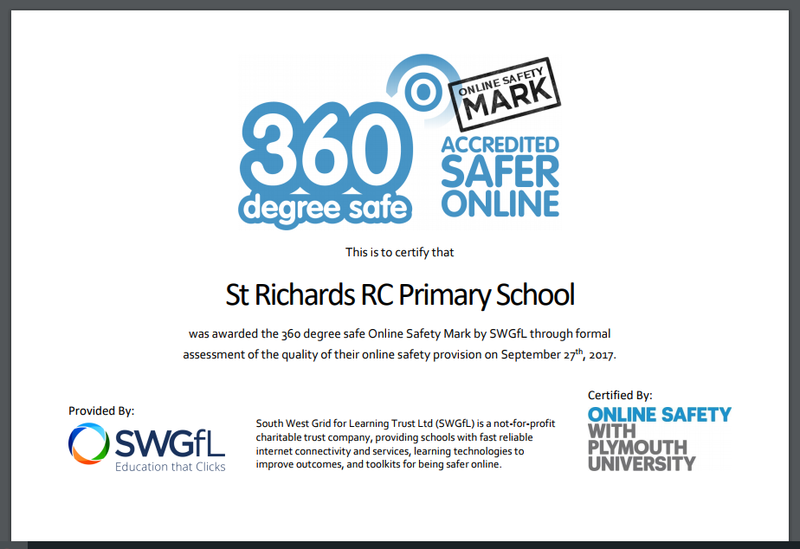 St.Richard’s are proud to announce that we have once again been awarded the prestigious Naace ICT Mark. Schools accredited with the ICT Mark standard are demonstrating that they are committed to using technology to improve their overall effectiveness and efficiency. Computing provision and learning will continue to expand and improve at the school, with plenty of new and exciting technology on its way.